Scientists from the MIPT Department of Molecular and Chemical Physics have for the first time described the behavior of electrons in a previously unstudied analogue of graphene, two-dimensional niobium telluride, and, in the process, uncovered the nature of two-dimensionality effects on conducting properties. These findings will help in the creation of future flat and flexible electronic devices. In recent decades, physicists have actively studied so-called two-dimensional materials. Andrei Geim and Konstantin Novoselov received the Nobel Prize for their research on graphene, the most well-known among them. The properties of such materials, which can be described as "sheets" with a thickness of a few atoms, strongly differ from their three-dimensional analogues. For example, graphene is transparent, conducts current better than copper and has good thermal conductivity. Scientists believe that other types of two-dimensional materials may possess even more exotic properties. 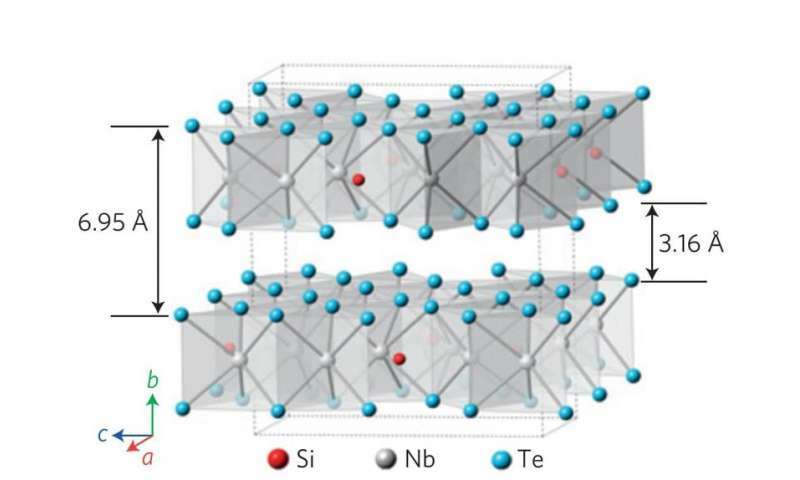 A group of scientists from Russia and the USA, including Pavel Sorokin and Liubov Antipina from MIPT, recently conducted research on the properties of the crystals of one such material,Nb3SiTe6, a compound of niobium telluride. In their structure, the crystals resemble sandwiches with a thickness of three atoms (around 4 angstroms): a layer of tellurium, a layer of niobium mixed with silicon atoms and then another layer of tellurium. 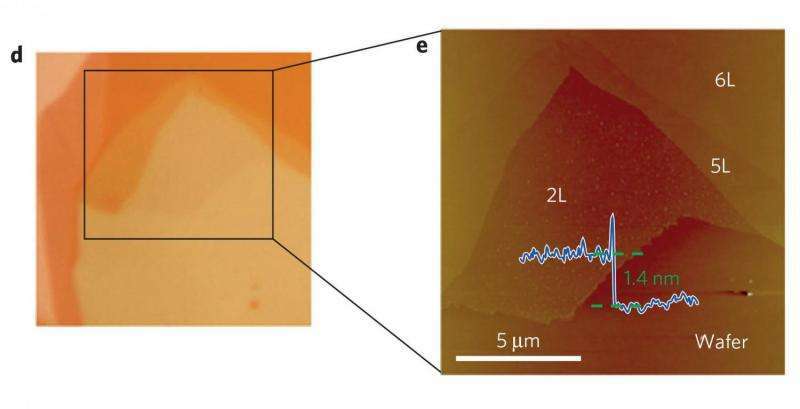 This substance belongs to a class of materials known as dichalcogenides, which many scientists view as promising two-dimensional semiconductors. The scientists synthesized Nb3SiTe6 crystals in a laboratory at Tulane University (New Orleans). They then separated them into two-dimensional layers, taking samples for further analysis by transmission electron microscopy, X-ray crystal analysis and other methods. The goal of the researchers was to investigate electron-phonon interaction changes in two-dimensional substances. Quasi particles, quanta of crystal lattice oscillations, are called phonons. Physicists introduced the concept of phonons because it helped simplify the description of processes in crystals, and tracking of electron-phonon interaction is fundamentally important for description of the different conducting properties in matter. "We developed a theory that predicts that electron-phonon interaction is suppressed due to dimensional effects in two-dimensional material. In other words, these materials obstruct the flow of electrons to a lesser extent," says Pavel Sorokin, a co-author of the study, doctor of physical and mathematical sciences, and lecturer at the MIPT Section of the Physics and Chemistry of Nanostructures (DMCP). American colleagues confirmed this prediction in related experiments. "They conducted measurements where the same effectwas observed. Our calculations allowed the ruling out of other explanations; we managed to prove that changes in electron-phonon interaction occur specifically because of the two-dimensionality of the membrane," Sorokin adds. Full details of the research discussed above can be found in an article published in the journal Nature Physics.